Supply chains across the globe are aiming to achieve complete visibility of all processes for real-time collaboration and seamless visibility amongst all the stakeholders and the processes. FarEye defines supply chain visibility as connecting companies and giving the entire network access to information via a single platform. As companies expand globally and rely more on geographically dispersed partners, vendors and customers, FarEye enables supply chain professionals to tighten reins on their business function and make their processes interconnected to improve efficiency along with an added layer of real-time visibility, control and accountability. In order to address one of the fundamental issues facing the industry – greater visibility. 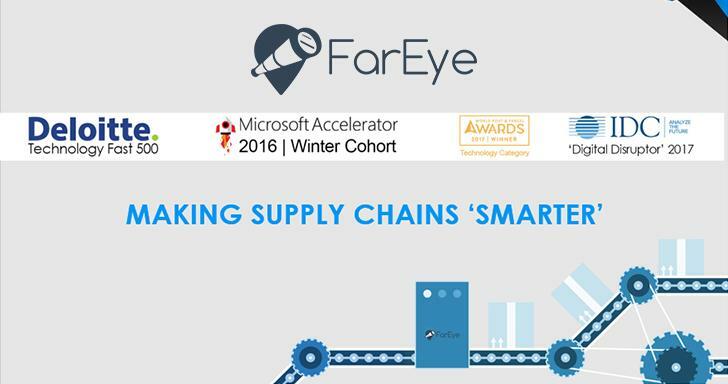 Backed by Artificial Intelligence and advanced Machine-Learning algorithms, mobility in a supply chain FarEye has designed Business Process Management Engine for FarEye’s unique capability enables enterprises to customize workflows and blend logistics & IT to make supply chains ‘SMARTER’ with Cloud and Mobility. It creates a reliable supply chain with complete visibility for all in-transit inventory, from origin to final destination. Transactional Visibility gives a common platform to all vendors, suppliers and stakeholders. Also, eliminates paperwork & reduces confusion. To know how to you can make your supply chains ‘smarter’ and gain complete visibility, get in touch today!